For communities living near the Southern end of Tsavo West National Park to have a healthy and sustainable relationship with wildlife and the environment as well as improved access to basic needs, skills training and stronger local economies. 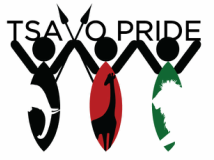 The ultimate goal driving the formation of Tsavo Pride is to enable community members who are former wildlife poachers to actively conserve and protect flora and fauna through co-operation with their communities and Kenya Wildlife Service. Part of this goal is to empower the Rangers to act as agents of change in the communities within our area of operation to encouraging wider participation in conservation, providing education on improving farming methodologies and income generation and providing strategies to mitigate human wildlife conflict.The third founding goal of Tsavo Pride is to improve our target community’s access to basic need’s such has water, food, schools and health facilities. A) Enhance existing skills and knowledge of former poachers through comprehensive training at KWS’ Manyani training centre. B) Strengthen organisational capacity to manage members, record-keeping, develop clear flow of communication and to manage finance. C) Decrease levels of poaching and improve monitoring of the park by bolstering KWS patrol effort through regular organised community ranger patrols/surveys . D) To reduce human wildlife conflict though education programs and the provision of practical solutions such as chilli oil fences and to provide timely protection of properties against wildlife raids . E) Increase presence and mobility of rangers thus reducing poaching activity further by establishing three basecamps equipped with vehicles near to the park in poaching “hot spots” enabling more efficient monitoring and more timely response to poaching activity and HWC ). F) To generate a sustainable income for Community rangers to enable them to commit fully to the project. G) Increase local incomes and improve food security by providing community rangers with information on improved agricultural methods and animal husbandry to disseminate to community members while on HWC visits. H) Construction of Boreholes, water harvesting facilities, schools and health facilities in under resourced isolated communities. I) Diversifying income-generating activities for Masaai communities to mitigate massive threat of income and asset loss posed by increased penalties for grazing livestock within the national park.